In theory, Oregon's state agencies will provide public records - emails, budgets, invoices, meeting minutes, etc - to anyone who asks, on request. But in practice, the Oregon DOJ has taken a narrow interpretation of those laws, and it is much harder to get public records in Oregon than is true in most other states. Open Up Oregon attempts to address this situation by providing practical advice about how to get public records, and by pressuring the Oregon DOJ to enforce and interpret Oregon's public records law to encourage agencies to improve access to records. How to get Oregon public records, background. Google is now in charge of the law. 12/20/2010: Attorney General John Kroger has followed through with the promise he made during his Transparency Town Halls this summer, proposing two substantial improvements to Oregon's public records law. Establishes deadlines by which public bodies must respond to public records requests. Provides exceptions. Delays application of deadlines to local governments until July 1, 2013. Provides exceptions. Limits amount of fees public bodies may charge for responding to public records requests. Provides exceptions. Establishes jurisdiction of Attorney General to hear petitions for review of public records in custody of elected ofﬁcials by persons denied right to inspect records. Requires Attorney General to develop training materials on public records. Declares emergency, effective on passage. Requires certain governing bodies of public bodies to make audio, audio-video or digital recording of public meetings. Requires written record of meetings and speciﬁes content of written record. Requires recordings and related written records to be available within seven working days of meeting or within one working day of request to review or inspect, whichever is later. Requires Attorney General to develop training materials to educate public employees on public meetings law requirements. Declares emergency, effective on passage. Kroger apparently has decided not to pursue his plans to rationalize the many exemptions to the public records law, at least for now. In my opinion he has his priorities right. State agencies routinely use delays and fees to stall and frustrate people's right to know what their government is doing, and the revisions Kroger has proposed address both those important issues. His proposal on audio-video recordings of public meetings - and the 7 day deadline - is also right on target. I've been a skeptic on the seriousness of Kroger's willingness to take political risks to fix Oregon's disastrous public records situation. This is because of the retrograde public records opinions coming out his office - like this absurdity from his Deputy AG, Mary Willliams. These proposed legislation changes make me want to change my mind. 11/15/2010: The Oregon Attorney General's office has now posted the Public Records and Meetings Manual online, here. They have also made what appear to be significant pro-transparency improvements in their interpretation of the law. It is not yet clear if they will follow through on the promise this provides, with actual rulings on public records petitions involving fee waivers and delays. That's the hard part. But this is a start. 10/29/2010: The Oregonian has an editorial today on Oregon Attorney General John Kroger's decision to require PERS to release info on retired state employees getting more than $100,000 a year in PERS benefits. This is serious progress. A sceptic might not that the announcement comes just before the election, while the follow through will not come until after. Still, it's a good sign. Every 2 years the Oregon DOJ publishes the "Oregon Attorney General's Public Records and Meetings Manual". Essential reading for people trying to use their right to get public records from Oregon government agencies. The Oregon DOJ has been trying to keep me from redistributing this manual. "The State, by and through DOJ, owns copyright to the Manual, and it is not to be redistributed without our permission in any format. This measure is to help protect the copyright." Given that this quote is prominently posted on the cover of the very manual which AG John Kroger is trying to keep off the internet, I hold with those who favor farce, and, with the help of Carl Malamud at public.resource.org, I've posted the manual online at my official UO faculty website. So, you can go here and pay the DOJ $25 for the dead-tree version or download a searchable and environmentally friendly 6MB pdf, free, here. UPDATE: In November - 5 months after I first tried to get this manual, the AG caved. It's now posted online at the Oregon DOJ website complete with a creative commons copyright. More on this is on the OPB show Think Out Loud with Attorney General John Kroger and UO Economics Professor Bill Harbaugh. Stories in Oregonian, RG, Jack Bog, LoveSalem, Oregonian Editorial. We are now working to put all of the DOJ PROs (starting from 2008) online, along with some metadata. The DOJ's Government Transparency Counsel, Michael Kron, has been sending us these as a courtesy, which we very much appreciate. There are about 125 of them at the moment, so the details will take a bit and we are still working on what data to include. But all links are active. Comments welcome. Go here to see the whole spreadsheet. If you would like to edit the spreadsheet metadata, email me at openuporegon at gmail dot com. Update: The OPB show "Think Out Loud" is doing a show with Attorney General John Kroger and UO Economics Professor Bill Harbaugh (of OpenUpOregon) at 9 AM Monday. It should be interesting. Attorney General John Kroger today announced a broad plan to improve government transparency in Oregon. "A democracy cannot properly function without strong open government laws," said Attorney General Kroger. "We've implemented some immediate reforms that will improve transparency in state government. But I'm also committed to far greater changes." Putting the 2008 Attorney General's Manual on Public Records and Public Meetings online. Until now, the manual has been exclusively available in a hard copy at a cost of $25. Free online access will significantly increase its usefulness. The Oregon Department of Justice web site now includes a Citizen's Guide to Public Records and Public Meetings. The guide is designed for citizens who need a quick and easy understanding of Oregon's open government laws. A new online Public Records Request Form is also now available. Previously, public records request forms needed to be printed out and mailed or faxed. The form is designed for requesting records from the Department of Justice. Attorney General Kroger also has created the Government Transparency Counsel, a new position in the Department of Justice designed to ensure that state government properly complies with state transparency laws. The next step is a systematic review of Oregon's open government laws to identify weak points and suggest improvements for the 2011 Legislature. This effort requires input from the public, the media and government officials. To that end, Attorney General Kroger will conduct meetings around the state that will be co-sponsored by the Oregon Newspaper Publishers' Association. The online PR manual appears to be the direct consequence of pressure from this website and from Carl Malamud at Public Resource - creative commons license and all. The "Government Transparency Counsel (Michael Kron) has a great title and we hope will have authority to ride herd on the state agencies. We are a little worried about the hearings. We started this website in part to encourage the DOJ to use the authority they have under current law to prevent agencies from using unreasonable delays, excessive redactions, and unreasonable fees to prevent access to public records. They have made progress on the delays, but have not done much - that I can see - on the other topics. I am cautiously optimistic that Michael Kron will make this a priority - and I intend to find out soon! 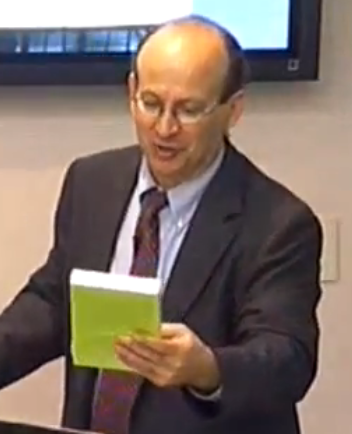 10/30/2009: Carl Malamud of public.resource.org has now posted still more "copyrighted" manuals from the Oregon DOJ for download as printable, searchable pdfs. All free. or_fire.pdf                      30-Oct-2009 13:46   41M  The Oregon Fire Code, which incorporates IFC-2006, the 2006 International Fire Code. or_mechanical.pdf                30-Oct-2009 13:46   23M  The Oregon Mechanical Code, which incorporates IMC-2006, the 2006 International Mechanical Code. or_residential.pdf               30-Oct-2009 13:46   42M  The Oregon Residential Code, which incorporates IRC-2006, the 2006 International Residential Code. or_structural.pdf                30-Oct-2009 13:46   69M  The Oregon Structural Specialty Code, which incorporates IBC-2006, the 2006 International Building Code. A pdf of the Oregon Fire Code costs $79.20 from the website recommended by the State Fire Marshal. Seems like Oregon Attorney General Kroger should be helping Mr. Malamud break this copyright, and that's the way we hope this fight ends. More at Boingboing.net. I've been lax on updates, but a lot has been happening on the public records front. Carl Malamud from public.resource.org made a sweep through Oregon - giving talks at Attorney General Kroger's law school, Lewis and Clark, and the University of Oregon Library, with a stop in between to buy copies of the legal manuals the Oregon DOJ is trying to keep off the web. I wonder what he is going to do with them? Here's video of his talk at UO. It's a great talk, ranging from the definition of a "smatterer" (1:50 in) to an insinuation of nepotism by John Adams to the early history of the SCOTUS to the rationale for copyright law to why John Kroger is going to have a really hard time asserting copyright on the Oregon DOJ manuals on public records, and other topics. My favorite part is here, of course! CJ Ciamarella has a good article in the ODE about Carl's visit. links to OR property records sites etc. Sunshine Review News - a FOIA wiki!